After many times of trying to remove labels from empty pill bottles to remove my identity from them before discarding them, I hit on a new way tonight. I was standing at my kitchen sink, next to the microwave. I filled my empty pill bottle with water, sat it in the microwave, heated the water in the micro for a few seconds or minutes. I removed the bottle from the microwave, dumped the water out and just like that the label peeled right off that bottle. No more struggling with labels for me. Vegetable oil or baby oil works to remove the stickiness, without wasting electricity. Peel off what you can and then wipe or spray on the oil, let it soak in for 15 mins or so, then peel. All medication bottles are recyclable too. They are either #1 or #2 plastic and can be recycled anywhere, even your recycle box from your trash service. A hairdryer works great, too! That's what I use to get the labels off prescription bottles. I also use it for getting price stickers off packages and books. Thanks for your suggestion. Works great. Do not over heat, no more than 20 seconds for two bottles. Be careful, very hot. How do I remove glue from the prescription bottles? You can also use your blowdryer to heat up the label, peel and clean the goop with some dishsoap. I soak them in hot tap water and a strong solution of pine sol. By the time the water cools you can pick it off starting at one corner and using your finger nails. I've never used peanut butter, but I've heard from several sources that it does work. I have used Goo Gone and that works really well. But, in a pinch, like when I was out of Goo Gone, I have used WD-40 with success. The only down side is the petroleum type smell. Goo Gone also has a smell but it is much more pleasant...sort of citrusy. Good luck. I use a black permanent marker and color it dark to make sure no information shows through before I throw it away. It seems to work okay and is a lot easier than fighting the glue. White vinegar always works for me for removing glue from old stickers, etc. Try it! A can of WD-40 Protective White Lithium Grease Then to remove grease some choke and carb cleaner then rinse with water. there are more steps but it is easier. To remove label fill with water put in microwave for about a min and it peels right off. I want to donate my prescription medicine bottles to the Humane Society. Can anyone tell me how to get the labels off when they are really stuck? Soak them in warm soapy water for about ten minutes and they shoud come right off! Another way is to use some type of cooking oil on a cloth and rub until they're gone. Goo Gone or Goo Off is supposed to be great for removing sticky stuff, but I haven't tried it. I use a hair dryer to warm the labels and then they just peel off nicely! 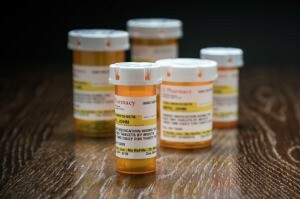 Veterinarians also take clean prescription bottles. I divide ours up between the vets in town (My hubby has had a liver transplant so we go through bunches). Try lighter fluid. It works for taking labels off magazines, stamps off envelopes, etc. It evaporates in a few seconds and leaves no residue behind. Or on the plastic pill bottles, vegetable oil might work, also. 2. Pour the water in the bottles once hot. 3. Put cap back on medicine bottle. 5. Pull label off and re-stick to sheet of paper to shred. 1. Immerse vial in small bowl or cup of water. 3. Peel label off with fingernail. 4. Remove residual glue with "Goo Gone" or similar product. I also go through a lot, and donate them to Medicine Bottles for Malawi, and the coolest, easiest, no-peel way I've found to get them off is by spraying them with Goo-Gone, wrap in a paper towel, wait overnight, then when you take the paper towel off, the entire label comes with it! No residue left! Just don't do what my mother-in-law did: Used a Sharpie to cross out everything and then gave them to me to do the Goo-Gone. I was covered in Sharpie. I have a huge garbage bag of prescription bottles that I need to remove the labels. Is there a fast way to remove labels when there is a high quantity? For onsies twosies, I use my thumb nail and start at the corner and they usually peel off easily from the orange bottles. From the orange or white bottles (which are always stickier) my late dad used to use wd40...spray on a light mist on the label...be sure to do this outside in a shady, well ventilated spot, then let then sit for a few hours and then toss in a bucket of plain cold water and most would slide right off. He used a flat screw drive to get rid of any residue. I'd soak them in a huge tub of hot soapy water. Most of it will come off. If there's extra residue, rub a mixture of equal parts baking soda and melted coconut oil on them and it will come off. I use "GOO GONE" for every thing I want to take a label off, it really works fast and easy. I use an old wash cloth to rub the label off and then just rinse the wash cloth out and re-use. Can you remove direction labels from a medicine bottle after you are finished with the meds? When I want labels to be removed I soak them in warm water until I can pull them off. If only part of the label comes off, I repeat the soaking. Use Goo Gone to get any glue residue off. Good luck! I want to reuse plastic jars, prescription, Pepcid bottles. I need to remove the existing label, clean, sterilize, and print new labels for Milk-Bone Brand MaroSnacks. How do I remove the label? It kind of peels off by fingernail. Is there an easier way.